Ionize is a powerful & friendly Content Management System… and it’s multilingual, efficient and free ! What can Ionize do for you ? 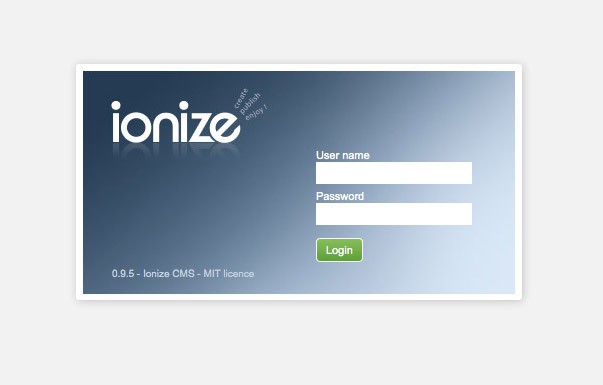 – Makes your client happy With its user friendly back-end interface, Ionize is very easy to use. Increases your efficiency –Ionize provides a powerful template language, which decrease significantly your coding time. Makes you Enjoy coding – Ionize uses CodeIgniter, a simple and powerful PHP framework. This gives you the awaited flexibility. Lightweight, themeable and dynamic. 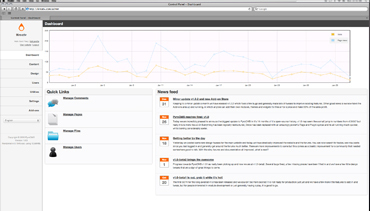 PyroCMS is perfect for CodeIgniter developers to kickstart your projects. Have no idea what the first paragraph means? No worries! PyroCMS is not just for us nerdy developers, it can be used by anyone. Many content management systems are built “by nerds, for nerds”. We designed and built PyroCMS for everyone. Probably the Easiest CMS You’ll Find – Your clients will love updating their websites with Halogy because it is so easy! Halogy is easy, but also contains everything your clients will need for their website, right out of the box. Get a site that has inline page editing, built in image handling, Blog and Web Forms set up in just a few hours, saving you time and saving your client money.